The world’s largest telescope ever will be constructed in Chile. After a long and intensive back and forth offering between Spain and Chile, the decision has been made in favour of the latter. Again. Chile is already the proud owner of the Very Large Telescope, the world’s most advanced visible-light astronomical observatory and VISTA, the world’s largest survey telescope. Sources mention that the European Extremely Large Telescope (in short E-ELT) will be built close to the Very Large Telescope, about 20 kilometres away from Cerro Paranal in the north of Chile. At 3.060 metres above sea level on the Armazonas mountain, located in the central part of the Atacama Desert and about 130 kilometres south of Antofagasta (Chile’s fourth largest city). Chile’s natural conditions have been one reason to choose the country. The Atacama desert is one of the driest places on the planet and offers approximately 320 clear nights per year, which provide perfect conditions for observation. But next to Chile’s natural conditions, the governmental inducements have played a decisive role. The Chilean government offered around 1.400 acres of free land as well as a ban on light within 89.452 acres of the new telescope and promised to keep the location free of contamination caused by mining activities. The construction of the ‘World’s Biggest Eye on the Sky’ telescope with a diameter of 42 metres is planned to begin at the end of 2011 and will most likely be operational in 2018. Extremely Large Telescopes are considered worldwide as one of the highest priorities in ground-based astronomy. They will vastly advance astrophysical knowledge, allowing detailed studies of subjects including planets around other stars, such as Earth-like planets in the ‘habitable zones’, the first objects in the Universe, super-massive black holes, and the nature and distribution of the dark matter and dark energy which dominate the Universe. Chile appears to be one of ESO’s favourites. 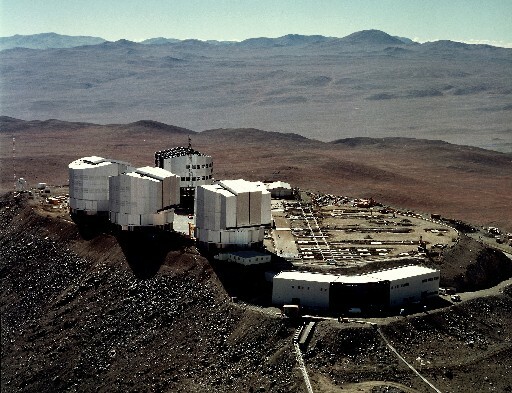 This European Southern Observatory, the foremost intergovernmental astronomy organisation in Europe and leader in promoting and organising cooperation in astronomical research, already operates three unique world-class observing sites in Chile: La Silla, Paranal and Chajnantor. In December 2009, researchers working in La Silla Observatory, discovered a planet outside of our solar system, which holds large amounts of water. The E-ELT telescope has an estimated budget of USD 950 million and will allow Chilean astronomers to increase their already important contribution to this science, and will also ensure their position as a world leader in terms of the telescopes installed in its territory. But according to the Chilean Ministry of Foreign Affairs one should look beyond the astronomic aspect and focus on its value: as something that involves the development of the area, tourism, technological development, the possibility of creating business ventures and professional opportunities for operators and engineers.